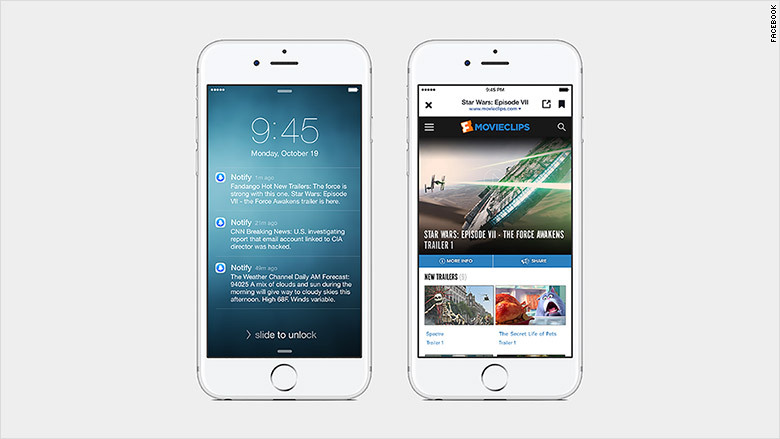 Facebook took another step Wednesday to reposition itself as a news source with the launch of its new app, "Notify." As evidenced by its name, the app employs the same type of notifications system that informs people when a friend has commented on a photo. 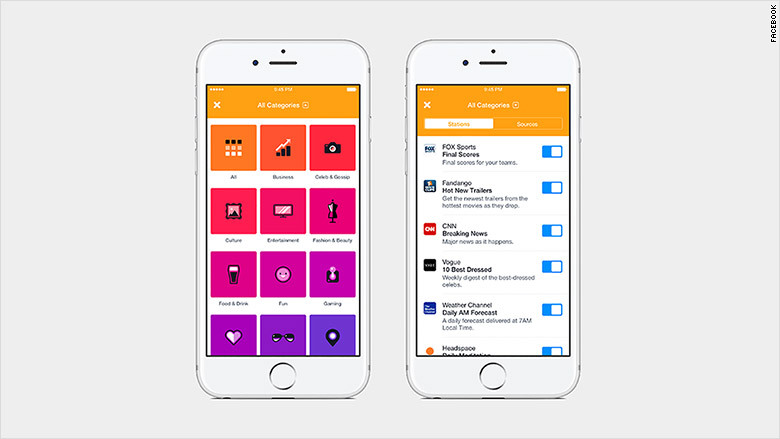 With "Notify," users can select a variety of different "stations," which are powered by the app's partnering news organizations. "The Daily AM Forecast" station brings notifications from the Weather Channel, while "The Final Scores" station provides "end-of-game summaries for your favorite teams" via FOX Sports. CNN is also a partner with the app. "Notifications are becoming one of the primary ways people first learn about things wherever they are," Facebook's product manager Julian Gutman said in an announcement on Wednesday. Notify joins "Messenger" as Facebook's latest stand alone app. It also reflects a broader effort by Facebook and other social media companies to become viable news sources. Earlier this year, Facebook introduced "Instant Articles," which allows news organizations such as the New York Times and BuzzFeed to post stories directly on the social media platform. Last month, Twitter launched "Moments," a feature that tells short news stories through curated tweets. Notify is available to download for free in the iTunes store.